For the outdoor enthusiast, nothing enhances the experience quite like an amazing pair of binoculars. If you’re looking for the best of the best, look no further than Zeiss. Zeiss has always been at the top of the list as far as quality is concerned. Nobody in the industry thought a quality, but also affordable binocular was possible, but Zeiss was determined to prove them wrong. Thus, the Terra ED was born. 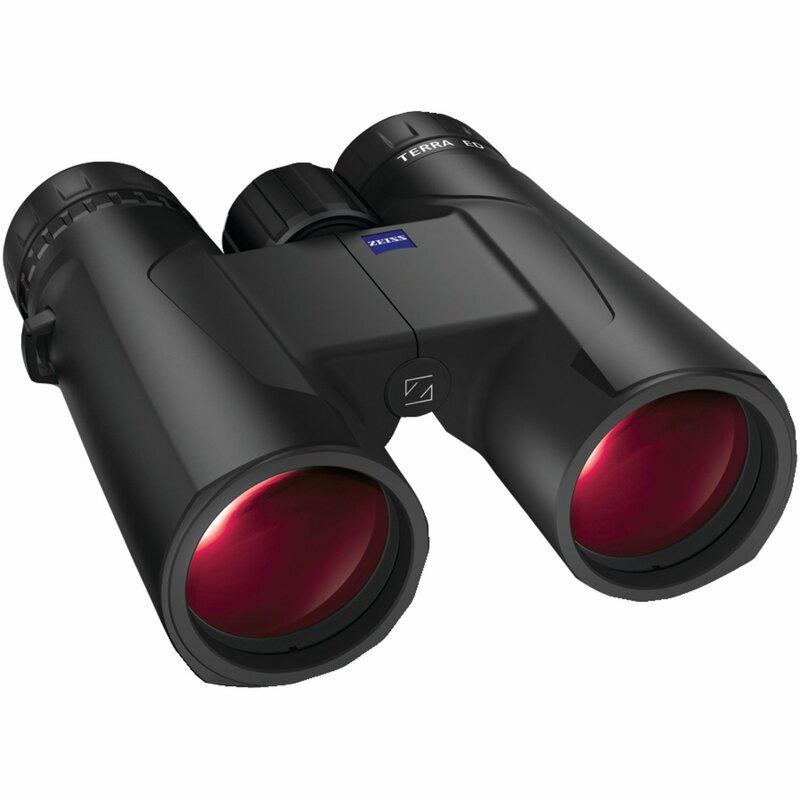 The Zeiss Terra ED binoculars are the ideal companion for any outdoor activity in any conditions. These binoculars have a waterproof casing and will do its job even under the toughest of conditions. 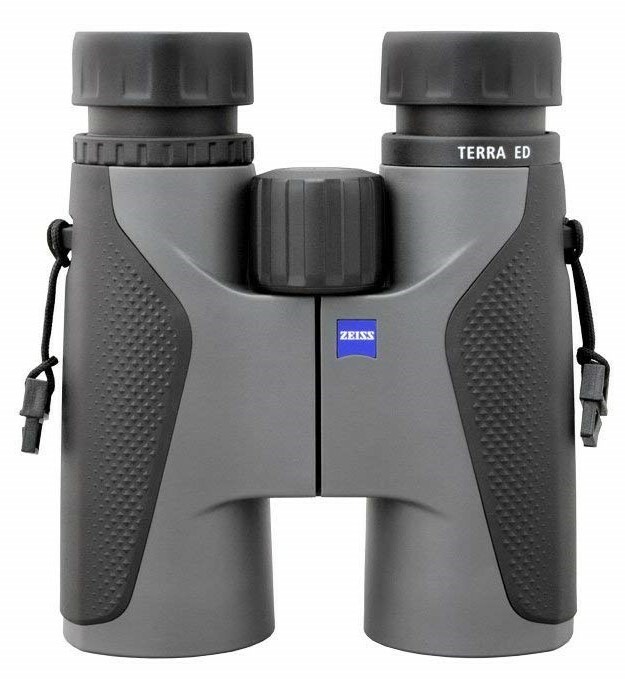 The ED in the Terra ED stands for Extra-low Dispersion: meaning a more high-end glass used in the binoculars that disperse the light wavelengths passing through the glass with more ease and at a better quality. The ED glass gives a sharp distinction between colors and significantly reduces chromatic aberration, which is the inability to bring different wavelengths of light into focus. Using ED glass in their binoculars, Zeiss guarantees a sharper image quality to the outdoor aficionado. They are compact and light, easily fitting into one’s pockets. To make these binoculars lightweight without sacrificing sturdiness, Zeiss uses a glass-reinforced polyamide, meaning they can be lightweight, but also durable. To paint a better picture, natural polyamides include: silk and wool. Because of the use of this polyamide, owners can enjoy a long-lasting viewing experience without suffering any fatigue in their hands or arms. Their optical specifications are better than most other binoculars. Because of optical precision and a hydrophobic multi-coating, these binoculars have a very versatile use and are a good instrument for any adventure around the globe. With just an easy flick of your index finger to focus, you’ll never miss a second with a smooth, fast focus. Zeiss guarantees great images with conventional colors. Depending on the model, the minimum object distance is 1.5m or 1.9m, making it able for you to observe objects up close precisely and impressively. These binoculars have an operating temperature range of -20 degrees to 63 degrees Celsius. They feature an 8x magnification and are also waterproof. The pocket 8×25 has a low weight of 310g and a wonderful folding design, making it extremely compact and easy to transport. They are available solely in “grey-black” and are best suited for travelling and general outdoor activities. This model is also waterproof, weighs 310g, and has a temperature range of -20 degrees to 63 degrees Celsius. They are also available solely in “grey-black” and are best suited for travelling and general outdoor activities. This model, however, features a 10x magnification. These binoculars are available solely in “cool grey” and have a compact size, weighing in at just 510g. They guarantee sharp images even when a subject moves quickly because of the precise focus mechanism. They fit well in your hand and feature an 8x magnification. The temperature range is -15 degrees to 60 degrees Celsius, and is also waterproof. These binoculars are best for nature observing and outdoor activities. You’ll get a 10x magnification, even in the smallest of details with this model. Much like the Terra ED 8×32, these binoculars have a low weight of 510g and a compact design, making it easy to fit in your hands. They are waterproof and have an accurate temperature range of -15 degrees to 60 degrees Celsius. Available solely in “cool grey”, they are best for nature observation and outdoor activities. This model and the Terra ED 10×42 are the heaviest of the bunch, weighing in at 695g. Even though it’s the heaviest of all the models, it is an all-around performer and still light and compact enough to travel anywhere with you. These binoculars feature an 8x magnification, are waterproof and have a working temperature range of -15 degrees to 60 degrees Celsius. This pair is virtually indestructible and has an attractive design, available in “deep blue”, “black” and “cool grey”. This model is best used for hunting, nature observation, and any outdoor activity. Much like the Terra ED 8×42, these binoculars weigh 695g, are waterproof and have a temperature range of -15 degrees to 60 degrees Celsius. They are available in “deep blue”, “black” and “cool grey”. This pair has an increased magnification of 10x, however. You’ll experience an extremely clear picture quality with its superior observation capability over long distances. These binoculars are best for hunting, nature observation and any outdoor activity. If you’re looking for great quality binoculars at a price you can afford, look no further than the Zeiss Terra ED models. Sure to please, these binoculars will give you picture-perfect quality with a durability you can’t beat. Zeiss has delivered yet again with this amazing product, making the perfect outdoor device for any interest. See all the Terra binoculars here!